Last night I took a shot doing something that i always feared. SHIRRING! 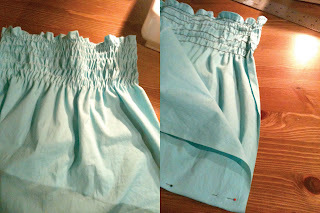 (Sewing with elastic thread) It was totally stupid to be scared it was so fun! 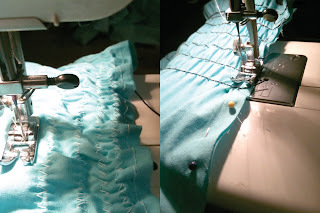 Here are some pictures of my shirring adventure making a little girls dress. These dresses are good when they are small and then when they get bigger the dress can be a little shirt! Dont be afraid to use elastic fabric! 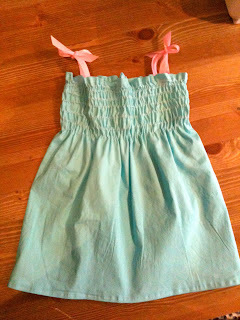 And i used ribbon to make the straps on the dress. I will be making alot more of these so if you have a request please let me know!! This is really one of your best designs yet! New and improved work space. New Tote Bags made from Billboard vinyl! !